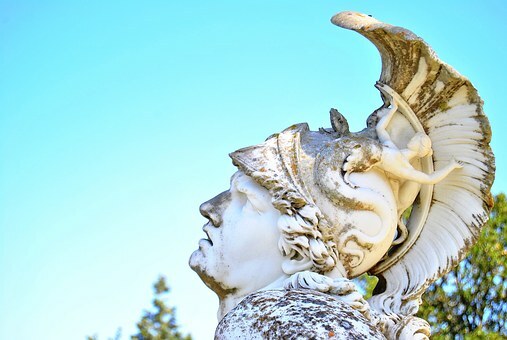 Do you know the Achilles Heel of any sales person? No, it isn’t objections, lack of leads, wrinkly clothes, or even a bad hair day. Our success can be partially measured by how many policies we sell within a week, month, or even year. By now, we realize that we need to also make sure we keep all the clients that we worked so hard to get in the first place by retention practices. It is easy to scoff at the idea of stopping your productive work to sit at your desk, grab a pen, and get to work on your papers. But, what if I told you that filing claims will help you get more business AND keep your current clients loyal? I know, I know- you’re thinking, “Hey, I have not had to deal with claims with any of my Medicare clients, so why would I start now?”. Well, you are a full service adviser, and it takes a little more work than being an order taker with their Medicare Supplement or Medicare Advantage Plan. So, how can handling claims help you build and maintain your business? Client Loyalty: With beneficiaries trusting technology more and more, the internet and call centers can easily rise to be our top competitor. How do we beat out the competition when we all sell the same products? Service. Turning in a claim can seem like huge hassle to your client, especially after dealing with the stress of their illness in the first place. When you swoop in with your superhero cape and handle the process for them, and they receive their check, you will never lose that client. Your “value add” service will save the day! Product Loyalty: Obviously, in order to build a client base, you have to keep you clients. Client loyalty is directly coordinated to how many products that client owns through you. If a client owns a policy for a short amount of time and then cancels; you lose creditably because you sold them something they don’t feel like they need, you may receive a charge back from that carrier due to a cancelled policy, and you lose those commissions- period. When you client receives a check from an insurance policy, like the drug rebate from Kemper or GTL’s home health care policy, your client will never give up that policy, even if money gets little tight. Referrals: In order to be remarkable, you have to do something worth making a remark about. If someone comes to you and they buy insurance, so what? What did you expect to happen? Its like going to a gas station and getting gas; who in the world is going to talk about their experience getting gas? But, if that gas station has the cleanest bathroom and the best pizza known to mankind, I am willing to bet someone is going to talk about them. Just like if a beneficiary comes to your office for their Medicare Supplement, and leaves with an entire comprehensive benefit package. Furthermore, the next time your clients are with their friends, you better believe they are going to talk about the product that gives them $600 per year in drug reimbursement AND the agent who set them up. As an insurance agent, your superhero cape is made up of your insurance policies your write. The claims? Well, that is the wind beneath your cape. ← Is Coffee Still Just for Closers?